An important part in fangirl life is the relationships between characters, both platonic and romantic. Since it's Valentine's Day, we're here to focus on the romantic ones. If you support a romantic couple, it's called "shipping" (a play on the word relationship). And if you support a romantic couple a lot, then those are called your OTPs (One True Pairings). We at The Fangirl Initiative have at least a few. And for many of us, we've been fangirls since a very young age. The love of story starts young, and so does the love of relationships and fictional romances. 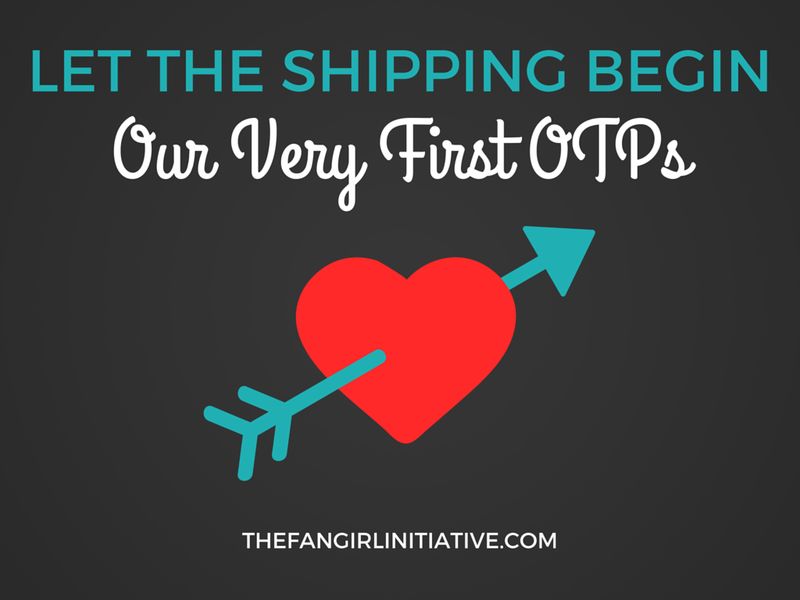 So what were our very first OTPs? Let's find out! So, I just need to put it out there. I’m a sucker for childhood friendships that blossom into full on coupledom. The initial, “No way. You have cooties. I wouldn’t touch you with a ten foot pole” to “I think I’ve loved you my entire life”. It just speaks to my deep-seated romantic side. That is why one of my first and favorite OTPs is Simba and Nala from Disney’s The Lion King. I mean, come on. Even when they were younger, they were perfect for each other. Also, Simba’s mom called it! Their ongoing “pinned ya” contest is so freaking adorable, especially since Nala wins almost every time. (Poor Simba. Though, female lions are the hunters, so he shouldn’t feel too bad.) And when they run into trouble at the elephant graveyard, Simba tries to protect Nala from the hyenas. Oh gosh, and isn’t it heartbreaking when Simba is run out of the Pride Lands, thinking he was the one who had killed his father and it's assumed he will never return again? Nala goes on for years thinking he’s dead. It’s a long time before they are reunited. And oh, the feels when Simba meets up with another lion, only to realize it’s Nala because she’s pined him yet again. She’s missed him. He’s missed her. They have their sweet, romantic lion moment. Heck, they’re even serenaded by Elton John! And yes, they have squabbles like all couples do. When Simba is hesitant about going back to the Pride Lands, Nala gets frustrated with him. But all is forgiven when he accepts his destiny and decides to end his uncle’s tyranny. Through it all, Nala is Simba’s strength and vice versa. They balance each other out. Plus, don’t they make the cutest lion cub? I love Kiara! The early 2000s were a fantastic time for the world of children's television. We were gifted with shows such as Oswald, Little Bear, and Clifford, and I indulged in all of it. 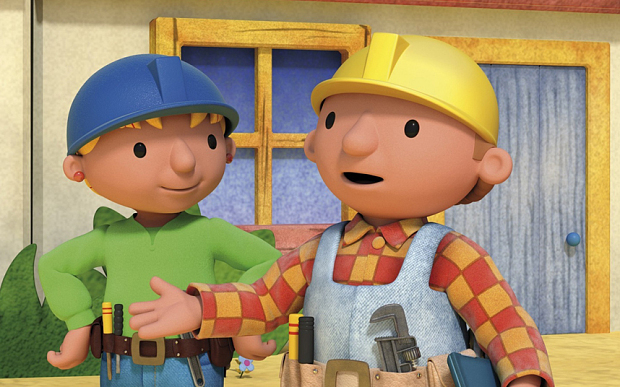 That's why you may not be too surprised to hear that my first OTP was from Bob the Builder. As you may remember, Bob had an assistant named Wendy who helped in many of the episodes. I'm sure you can see where this is going. That's right, folks. Bob and Wendy were my first OTP. Though there was never anything to indicate that they were in a relationship or even liked each other, my young shipper's heart went crazy. I decided that they were in love, even if they were too shy to admit it. I kind of felt like Wendy had a crush on Bob while Bob was totally clueless. But I knew that would change eventually. I dreamed of the day when I'd get to see a wedding, and I imagined what their house might look like when they fixed it up themselves. Honestly, it was slightly ridiculous and hilarious in hindsight. I had headcanons galore. And though many ships have stolen my heart, I think headcanons are an important ingredient to any OTP. Thus, that is why I'm naming Wendy and Bob my very first OTP. Congratulations, guys. Keep on fixing stuff. 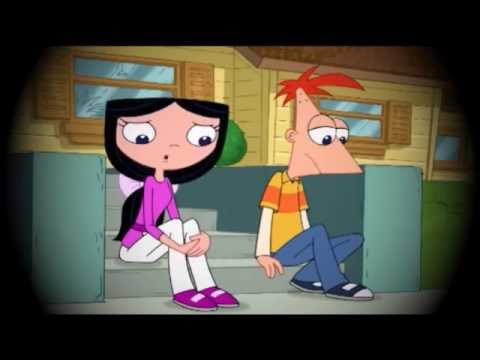 My first ever ship was “Phinabella” or the relationship between Phineas Flynn and Isabella Garcia-Shapiro on Disney’s Phineas and Ferb. 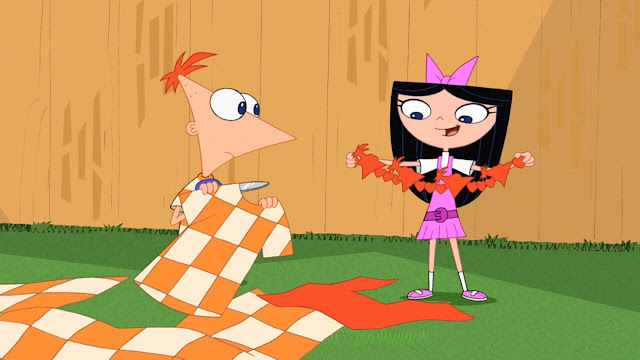 My love for the ship started with my love of Phineas. He was so optimistic, so creative, and able to turn the most impossible of ideas into a reality. He turned every day into an adventure. I always wished I knew someone like him because, if I did, I would go to his house every day to find out what he was doing and try to spend as much time with him as I could. And that’s exactly what Isabella does. The best thing about Isabella is how supportive she is. A lot of times, when you have a character with all these genius creative projects, they are shown as dating/being married to a character who is very apathetic to those projects, often finding them a nuisance or just overall not being very understanding of them. I’ve always found those kind of relationships very depressing and not something I could relate to. Whereas, Isabella is genuinely as fascinated by Phineas’s projects as he is and happily gets involved in them. In the beginning, my love of the ship was based mostly on how much I identified with Isabella in how she thought about and treated Phineas. But eventually, I also got to like Isabella in her own right as well. At first Isabella just seems like she's all cuteness and sparkles, but it doesn’t take long before she proves herself to be much more than that. She’s strong, patient, determined, resourceful, and knows how to get the job done. Any job. What’s more, she’s very grounded and brings stability and a knack for planning ahead that the spontaneous Phineas might not otherwise have. 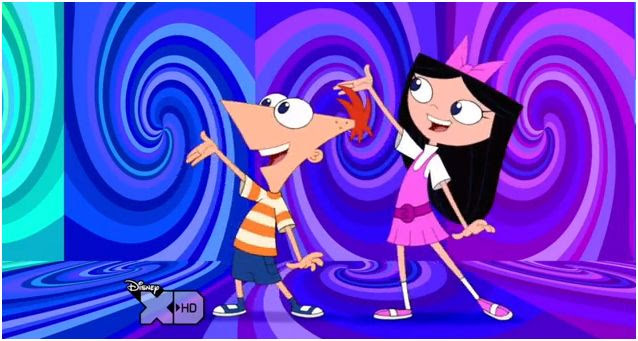 Even though Isabella’s crush on Phineas is obvious, his feelings for her are not as clear. Does he like her back and just doesn’t say anything because he’s not one to talk about his feelings and just assumes the nature of their relationship is obvious to both of them? Does he just like her as a friend? Is it something he’s never even thought about because his mind is too preoccupied with all his projects? Does he know how she feels about him? How would he react if she confronted him about it? These questions echo through each episode. And they aren’t answered until the end of the final season, in a special episode that is surprisingly emotional for such a light and fun show as Phineas and Ferb. I read princess books, watched princess movies, and lived and breathed Disney everything ever since I was little. As a child, I was exposed to volumes of stories. Stories were, and still are, my way of life. I can't accurately pinpoint my first One True Pairing (before I even know what that or "shipping" meant). There were probably tons, millions. Every Disney movie I'd seen. Every story with romance I picked up. Was it Digory and Polly from the Chronicles of Narnia--despite the romance-less relationship explored in the pages of The Magician's Nephew? Was it Jess and Leslie in Bridge to Terabithia--which ripped my heart out? I don't know my very first, but I know one of my firsts and still favorites: Han Solo and Princess Leia. Even to this day, I adore the relationships that pair two unlikely people together. The princess and the scoundrel. The prince and the servant girl. The thief and the heir. The assassin and the innocent. It's a favorite--despite sometimes cliche--trope in fantasy. I like to think two people from two different worlds can make it work. And for me, Han and Leia always did this. Today, I still love their relationship. I admire their strengths, I learn from their weaknesses. They're far from perfect, but they admit this and try to be better. 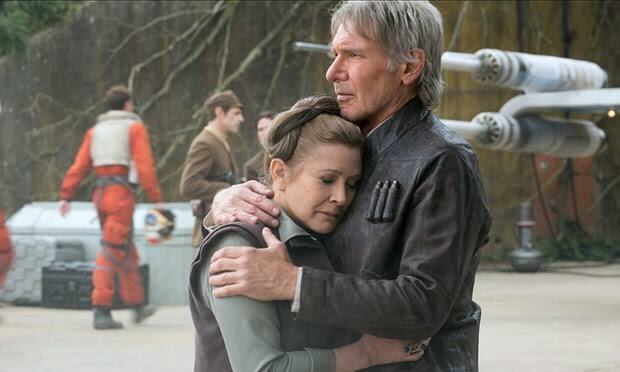 I will always hold a special place in my fangirl heart for Han and Leia and any relationship like theirs. (I'm looking at you, Rapunzel and Eugene.) I know. One of my other firsts was Anne Shirley and Gilbert Blythe. Another pairing where they start off on the wrong foot. He pulls her hair and calls her "carrots"; she breaks her slate over his head and vows to hate him. It's beautiful, really. But the best comes later. The best comes when he rescues her from drowning, when he gives up a teaching position so she can have it, when he does everything to just be her friend instead of lover. Despite how long it actually takes for them to get together, I always knew when I was little they were meant for each other. Anne and Gilbert. Their relationship is built on so much more than relationships we see today. They would do anything for each other. And it's beautiful. I have a confession to make. I was probably around nine when Episode 2 of the Star Wars prequels came out and was quite the romantic. 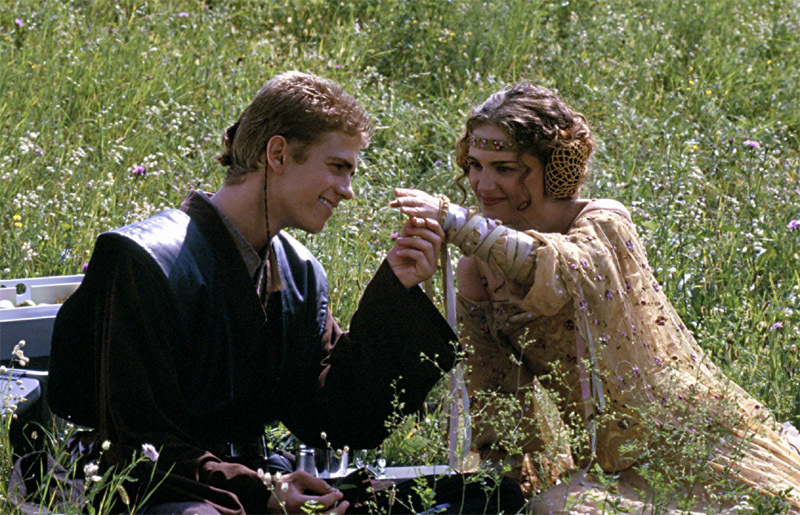 That's right folks, Anakin and Padmé were my first OTP (aside from Han and Leia, of course). Looking back, I am reminded of just how intense little Anna's feels were. For whatever reason, their happiness made me so happy, and I just had to hope against all hope that their story would not end in tragedy. My third grade English teacher was subject to fan comics nearly every day; she thankfully listened and read with patience and good humor. The aforementioned teacher supplied me with Star Wars reading material and encouraged me to pursue my own writing. 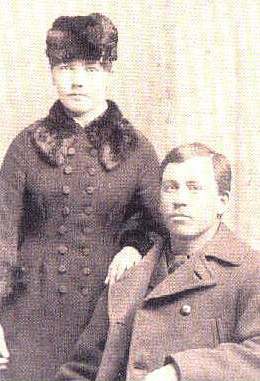 Outside of the Star Wars fandom, I'd have to say that my other first memorable OTP was Laura Ingalls Wilder and her husband Almanzo. Reading the Little House books was a formative part of my childhood. To me, it seemed especially cool that I already knew where her story was going. I was really excited to read Farmer Boy and see who this mysterious Almanzo guy that Laura would someday marry was and know a little more about his life. Something about the fact that I was getting to an age where I could understand a little bit more about love and romance made reading their story really special to me. As an adult, parts of their story still resonate with me. For example, Laura's engagement ring was garnet, not diamond; knowing what I do now about the diamond industry, this set a precedent in my taste in jewelry. I loved and still love that in their wedding vows Laura refused to say the word "obey" because she knew that she was Almanzo's equal. Their relationship and partnership set forth a lot of my perspective on love and relationships. They certainly struggled but did so as a team, just the way a couple should. Every love story is unique and special in it's own way and we love them for just as many reasons as there are stories. Happy Valentine's Day! Who were your first OTPs?